If you own a home Wi-Fi network, you will know the dilemma of unwanted IP IDs hogging your bandwidth. Many times, it may be an innocent friend who joins in your network when around your house. Or at times it is someone within your family who uses up all the bandwidth downloading stuff you don’t even want to know about. So how do you stop them from using your network without being rude? Just block their IP addresses in your network so that they cannot use the Internet without your permission. Wondering how to block devices from home Wi-Fi Network? Let us learn this simple procedure from the following paragraph. If you find an unwanted or a suspicious IP address linked to your network, you simply block it forever. All you need is the MAC address of the device connected to your network. Wondering how to find the MAC address of that particular device? You need to download an app such as Fing or open the Admin page of your router to find the MAC address. You need to enter the IP address of the router admin page into your computer’s browser. Once the page opens, enter the username and password. After you gain access to the router admin page, you need to find the tab that says Attached Devices or Connected Wireless Client List or DHCP clients, etc. where you find a list of devices connected to your Access Point. In this list you can find the MAC address and the IP address of the connected devices. Once you find the unauthorized device MAC address, you need to find the Security option. It may be present under Advanced Settings in some devices. Now enter the MAC address of the device(s) you wish to block from your network. 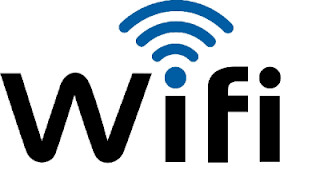 You can give it a name if the device allows and then click Save, Apply or OK.
You can even think about changing your Wi-Fi password as you are already logged into the router. This way unauthorized access to your network will be prevented. This is all you need to do to block devices from home Wi-Fi network. Keep your Wi-Fi router password strong and do not share it with everyone. Keeping changing the password regularly to avoid people taking undue advantage of your Wi-Fi network.